You know how they say – food can’t be bad if there’s people waiting in the line to buy it. 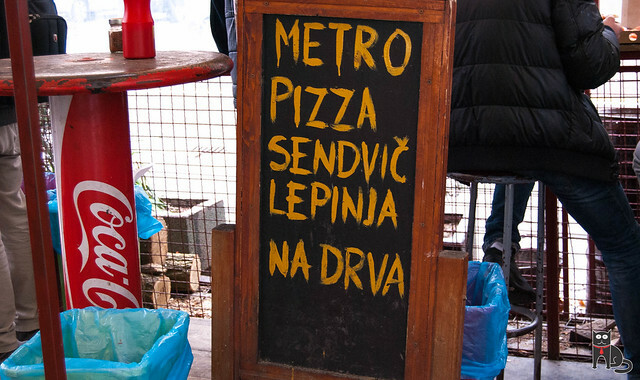 We’ve been passing by Metro Pizza (Kraljice Marije 35, Belgrade) many times, and every time there’s more and more people standing in line. Honestly, the place doesn’t even have the sign with its name on, it is a bit messed up, and it seems like the looks are the last item on the list of priorities for the owners. But food obviously is at the top, as well as price-quality ratio. 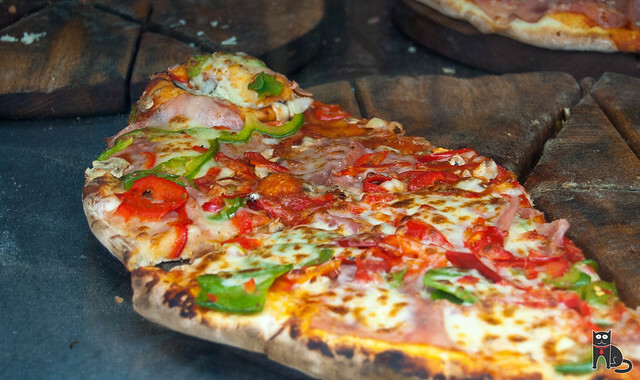 At Metro Pizza Belgrade they prepare food in wood pizza stove, which means that each pizza crust is thin and crunchy. 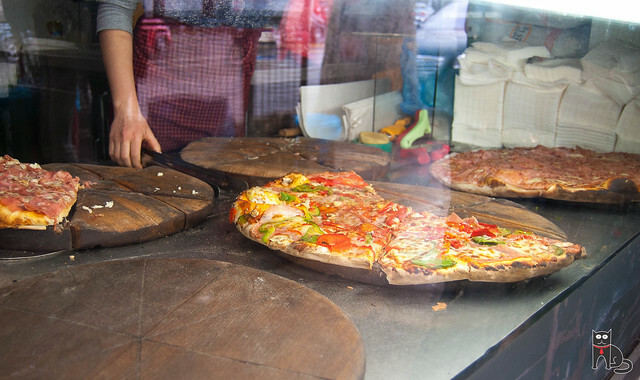 Pizza is sold by slice at price of 100 RSD (about 0,80€). You can ask for a cup of yoghurt with it at price of 110 RSD (0,90€) or extra cheese/sausage. 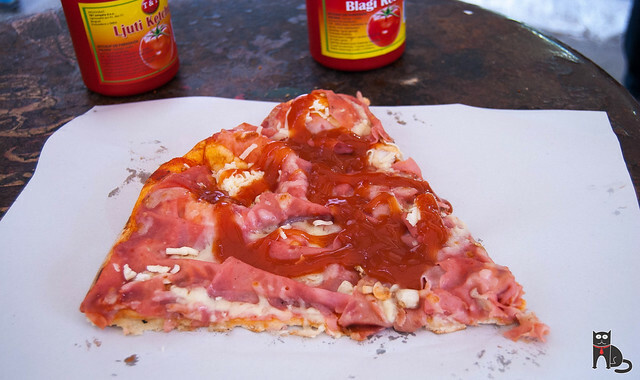 Pizza itself is simple – tomato, cheese and ham; vegetarian version is with paprika and mushrooms. They also sell amazing Serbian flat bread (lepinja) with kajmak (heavy milk cream) – also made in wooden stove, which makes it crunchy on the outside and soft on the inside. The price is 130 RSD (1€), and if you wish to add extra sausage it will cost you 170 RSD total (1,4€). Our friends like to come here after they spend all of their money on beer in Penzija bar next door. 🙂 So if you are hungry and want eat something nice but cheap, this is a pizza place in Belgrade!